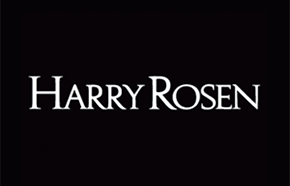 The number one retailer for all the finest brands in men’s suits, outerwear, denim, sweaters, accessories, and all lifestyle pieces for everyday luxury, Harry Rosen has what you need for the man in style(without too much effort!) With sales availible right now, shop for distinctive casuals for men and the finest office wear from some of our favourite world renowned designers including Zac Posen, Calvin Klein, and Canada Goose. With the quality essentials you need online and in-store, who wouldn’t love a gift from Harry Rosen? Harry Rosen Canada’s Boxing Day sale 2016 is out and now live! They are having some of their best sales of the year including: Al sale ties 50% off. All sale dress shirts 40% off. All sale Sportswear 50% off.